She was discovered by Jazz legends Dave Grusin and Larry Rosen. They immediately signed her to their GRP label and in 1978 she released her debut record simply titled “Angie.” That was how an international audience was first introduced to Angela Bofill. That first record produced the acclaimed single “This Time I’ll be Sweeter.” A year later she produced the even bigger “Angel of the Night.” The Bronx native suffered two strokes in the last decade, but her fighter’s heart has assured audiences that they had not seen the last of her. On October 4th, Angela Bofill will perform two shows on the Spirit of New York at Pier 61 in New York City. She is now touring with her Angela Bofill Experience which includes acclaimed saxophonist Kim Waters, jazz vocalist Maysa and Grammy-award winner Dave Valentin. While unable to sing and with her mobility impaired, Angela’s fighting spirit has inspired these artists to join her and put on a show that continues to give life to her music. If you liked her music before, you will truly enjoy her return to the stage with a stellar group of musicians. After her success on both the Jazz and R&B charts but prior to her strokes, Angela continued to perform live to sizable international audiences, particularly in Asia. She also appeared in a number of stage plays, including God Don’t Like Ugly and What A Man Wants, What A Man Needs. She has also recorded with audience favorite Jazz pianist George Duke. On October 4th, Angela Bofill Experience performs two shows at 6:30pm and 9:30pm. 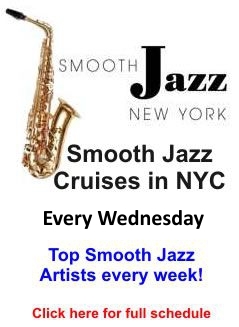 Celebrate the Smooth Cruises’ 16th year on the Hudson, aboard The Spirit of New York, located at Pier 61, Chelsea Piers (23rd St & West Side Highway). 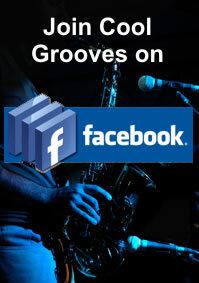 For information and to purchase tickets, visit www.smoothjazznewyork.com. Tickets are ON SALE NOW online and by phone. Standard tickets for the Wednesday, October 4th are $55.00. This entry was posted in Artists, Smooth Jazz News, Uncategorized and tagged Angela Bofill, dave Grusin. Bookmark the permalink.